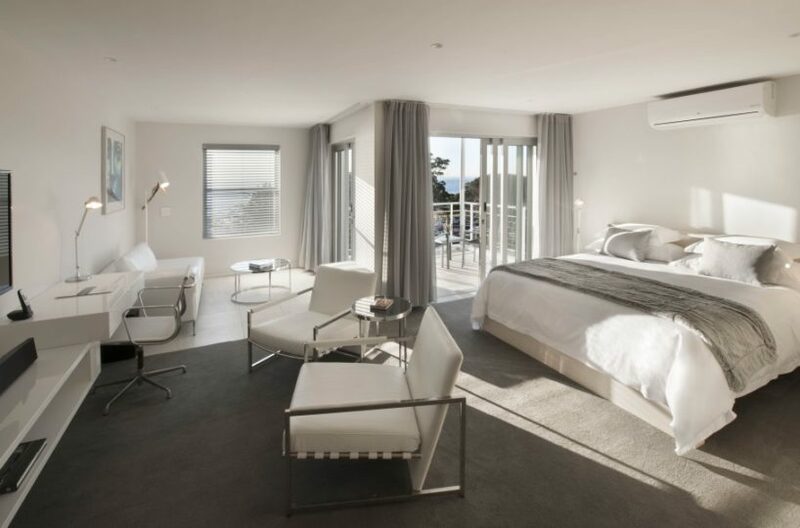 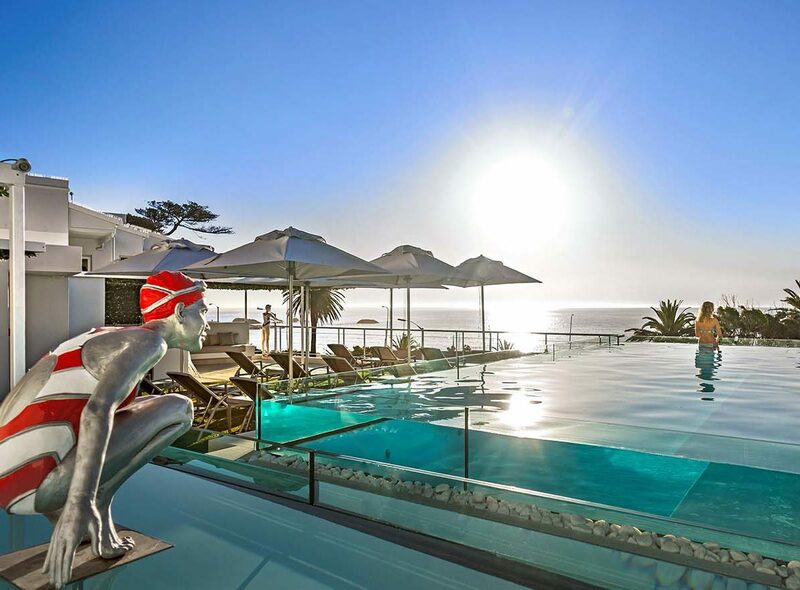 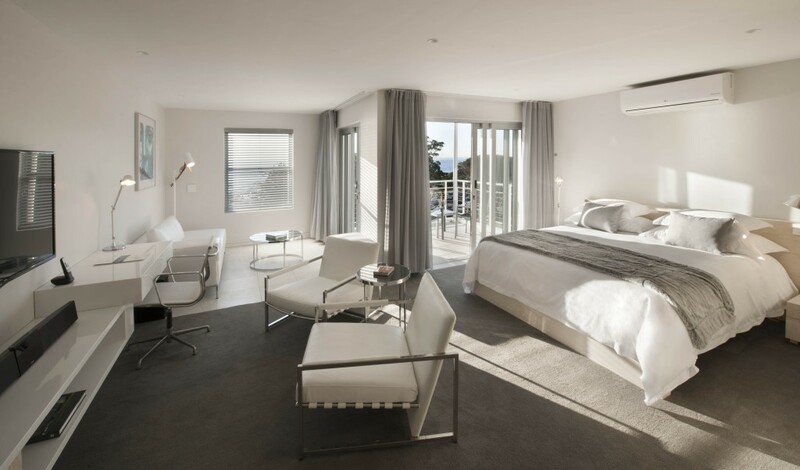 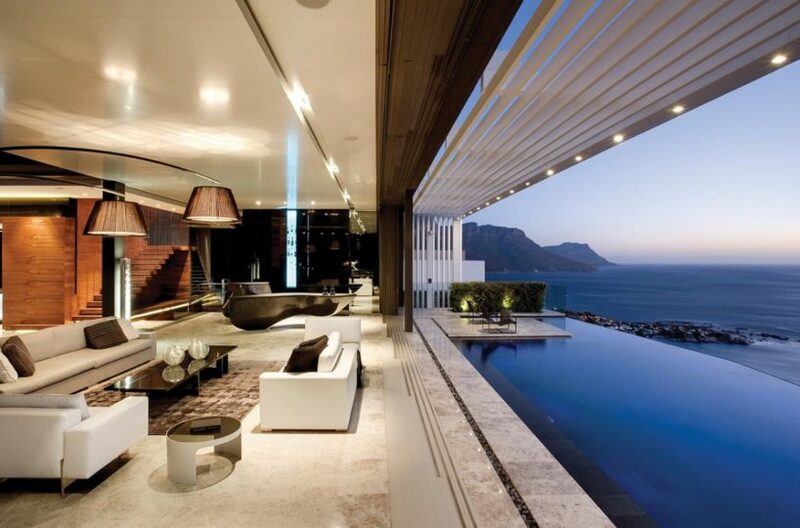 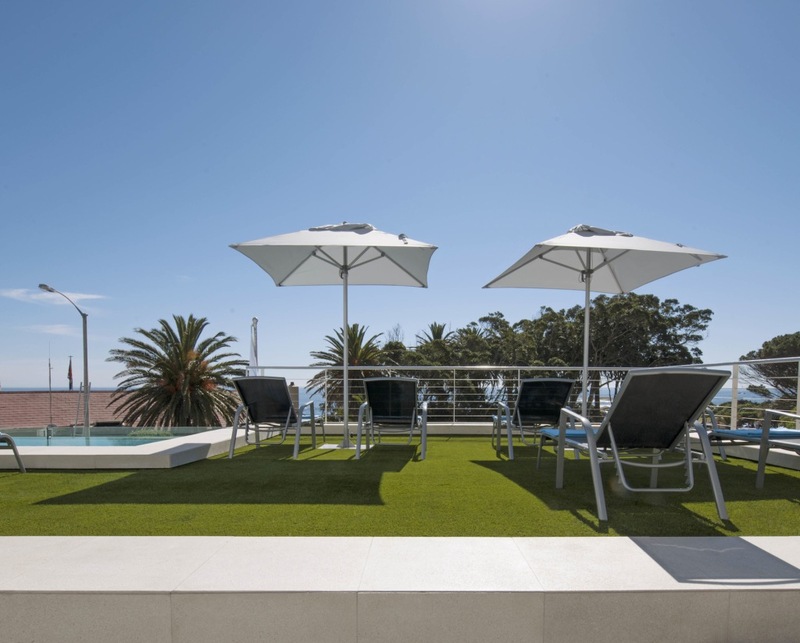 One bedroom apartments with sea views and shared pool, in Camps Bay. 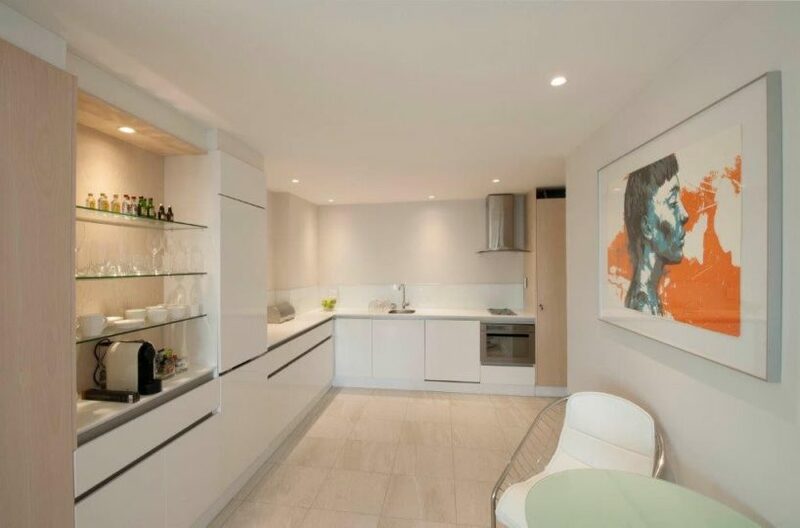 A gorgeous holiday apartment block with 9 luxurious 1 bedroom flats. 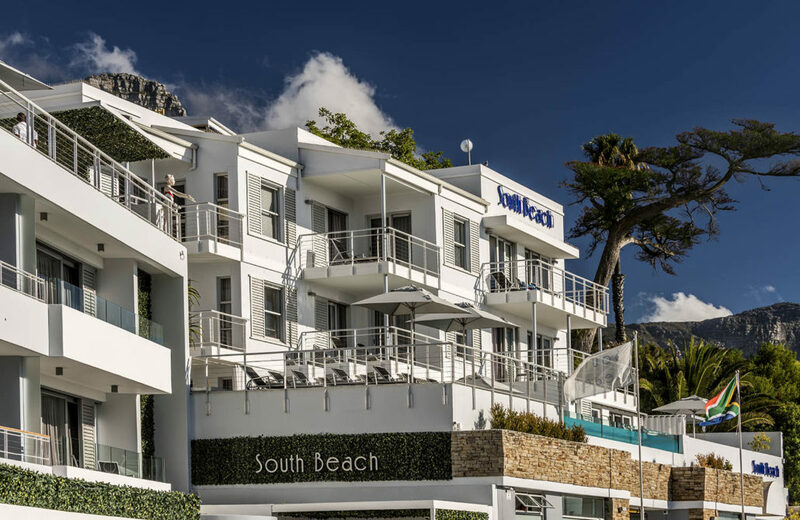 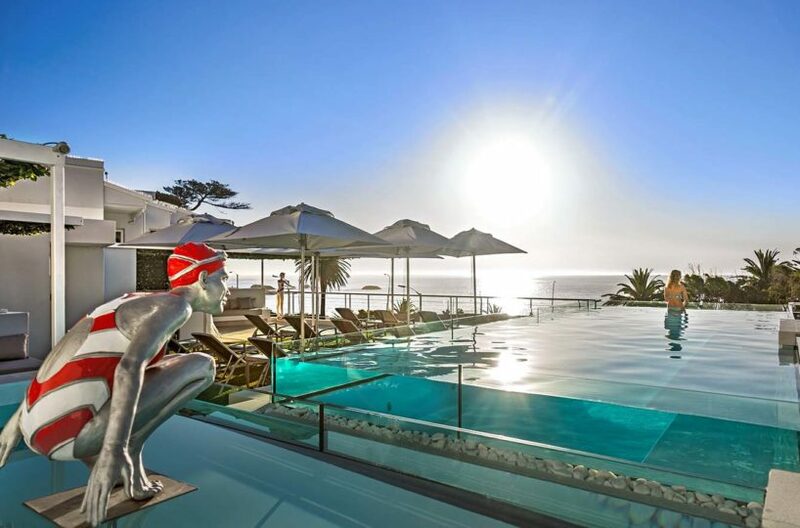 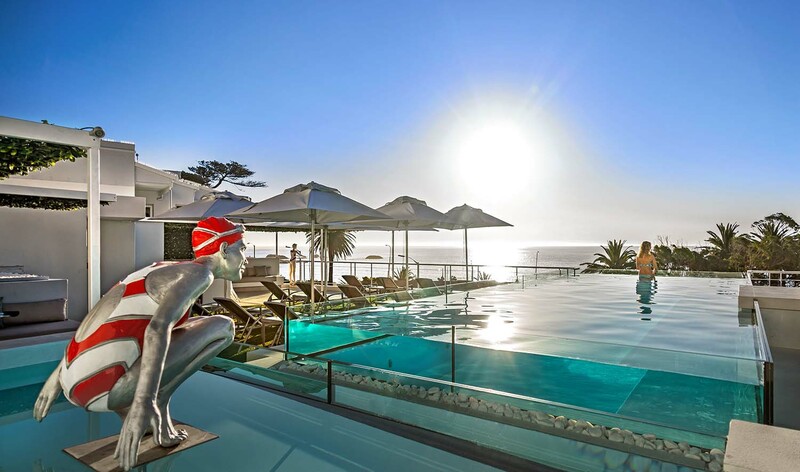 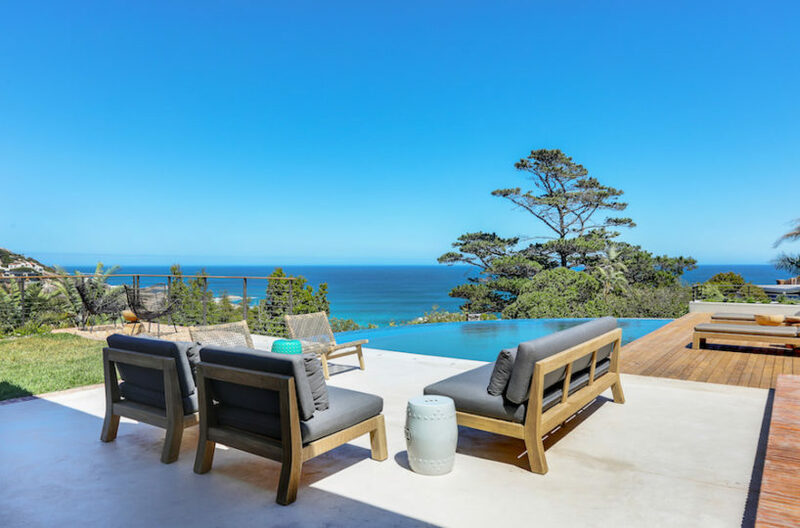 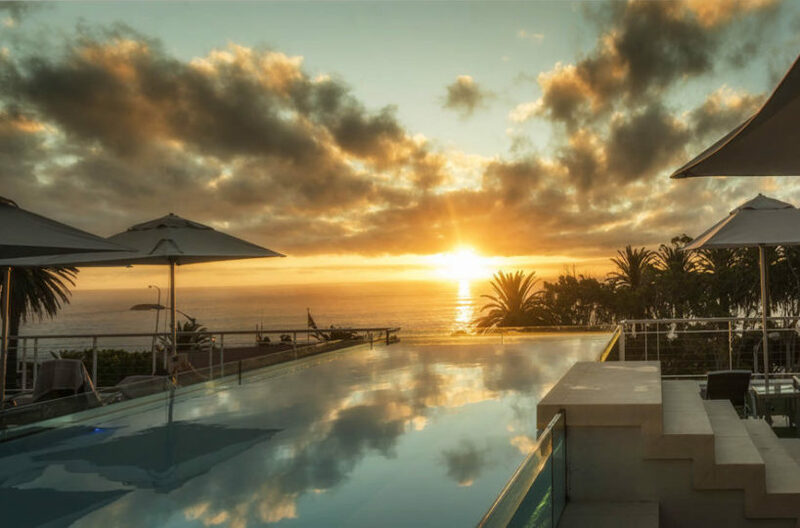 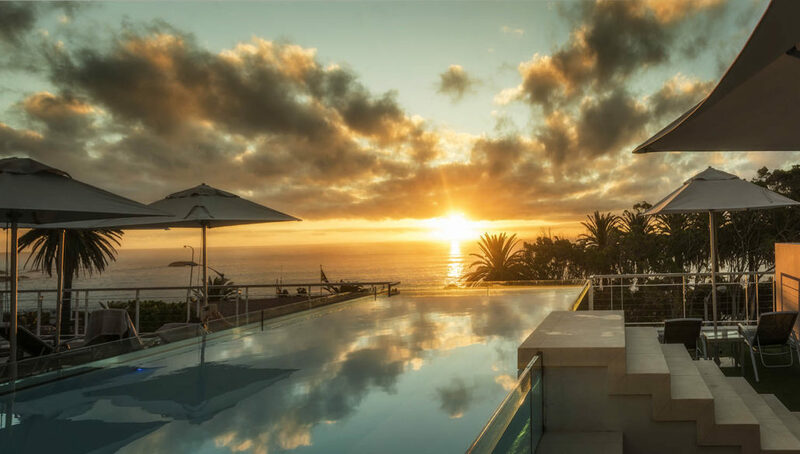 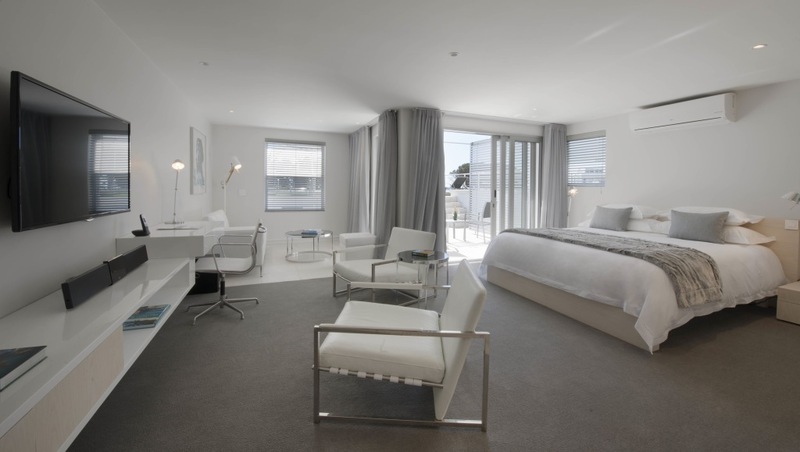 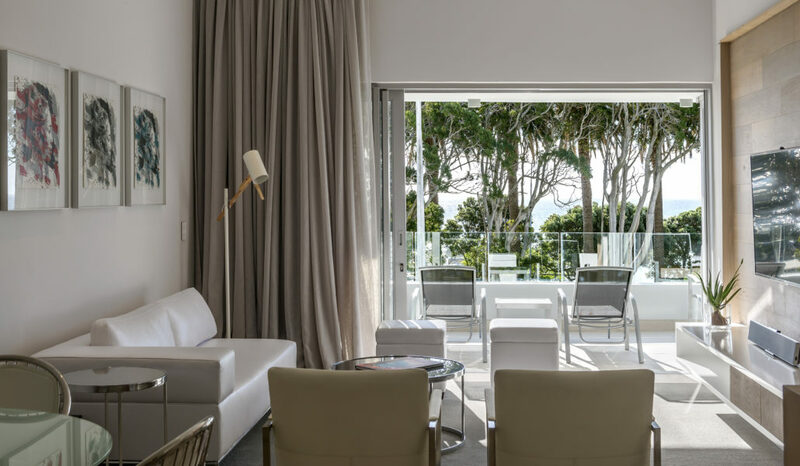 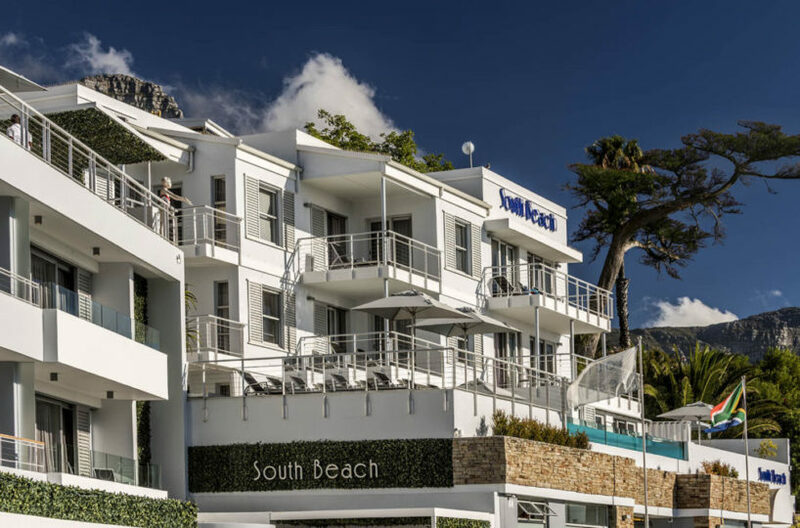 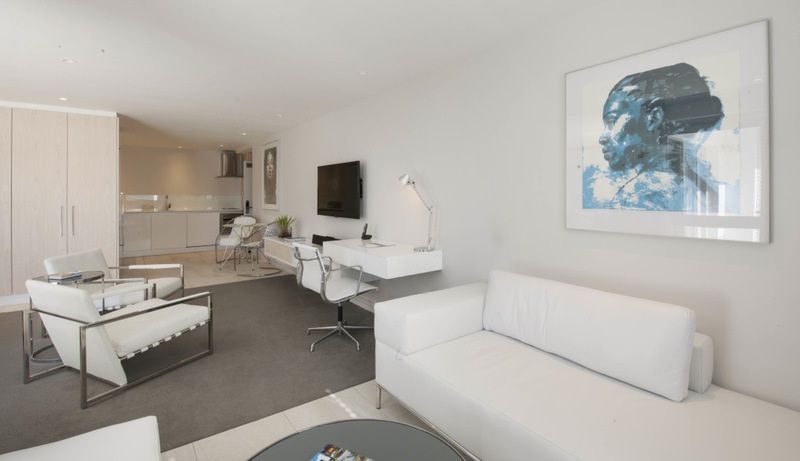 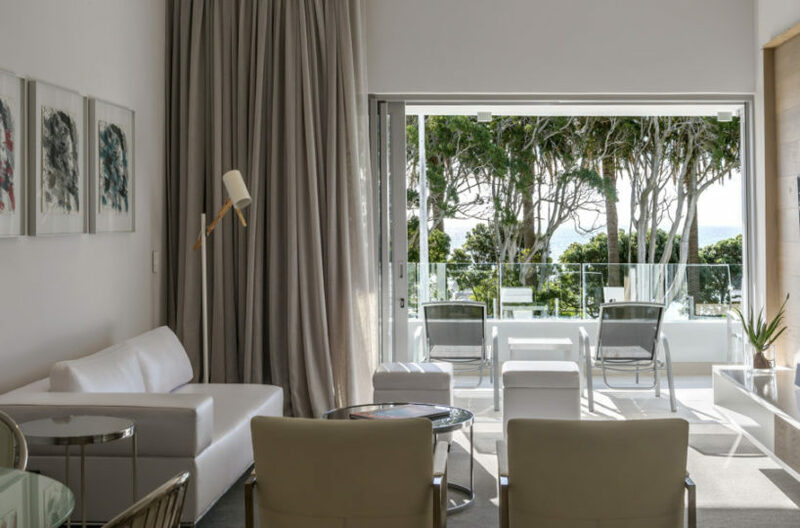 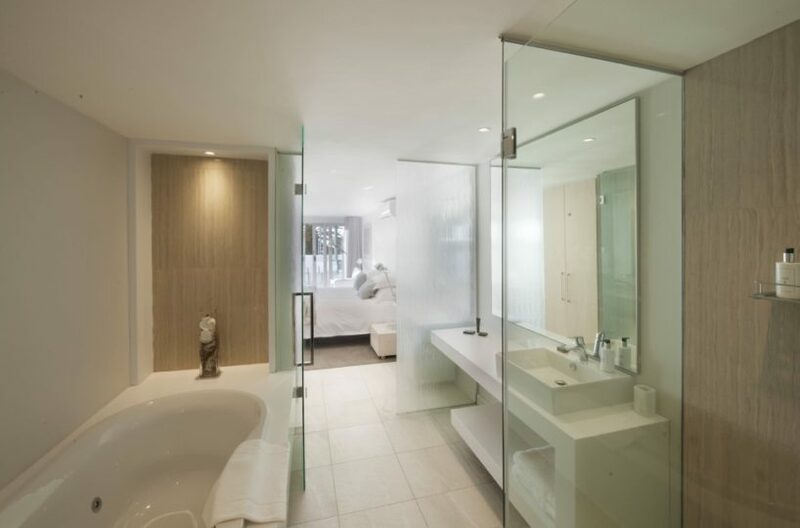 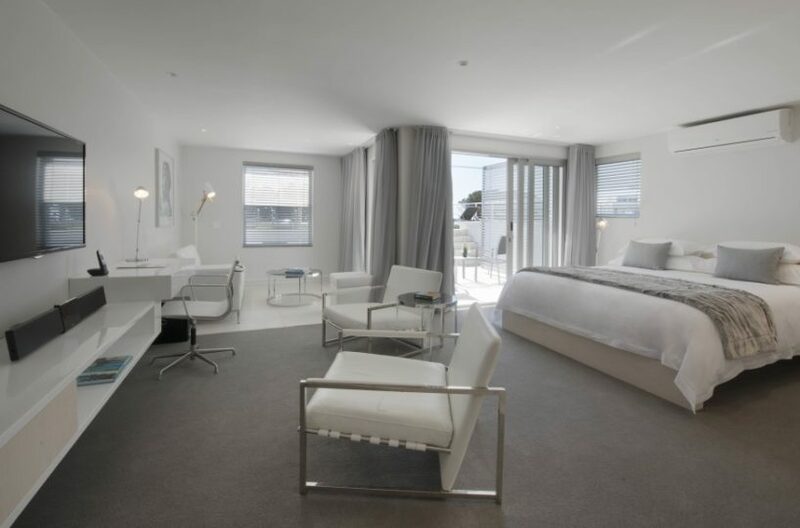 South Beach holiday apartments are located in Camps Bay within easy walking distance of the beach, bars and restaurants. 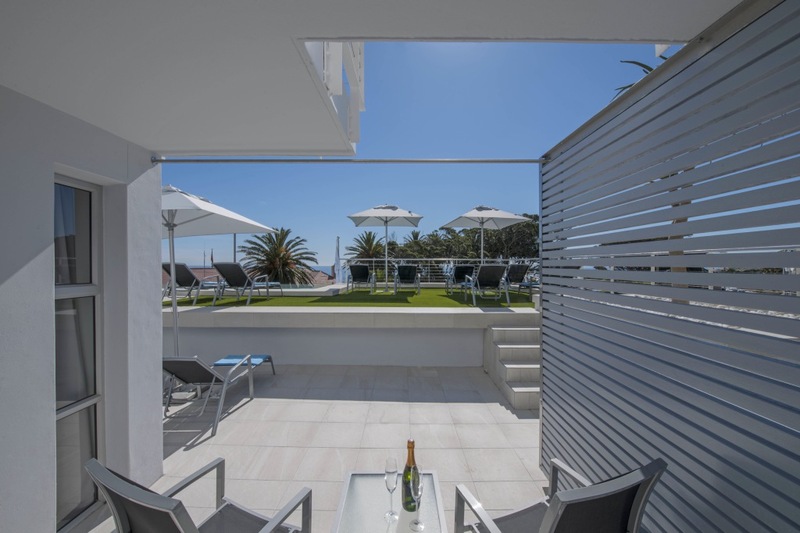 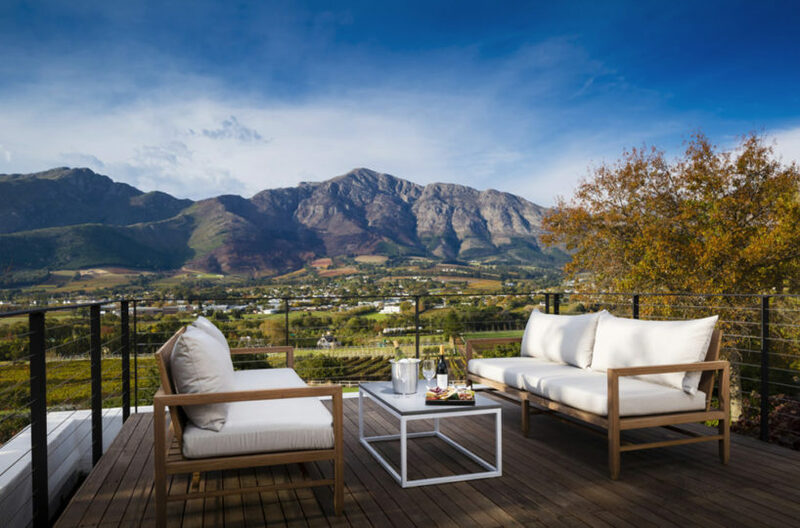 Located in a quiet street just one road back from the main drag, you will feel peacefully tranquil in this special hideaway. 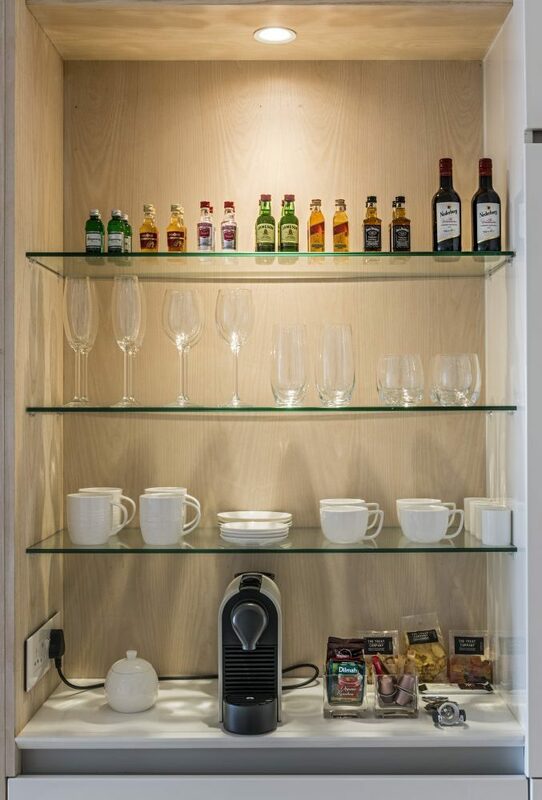 The apartments are fully serviced Monday-Saturday and come complete with a fridge stocked with drinks and snacks, newspapers in the morning, and a daily cleaning service. 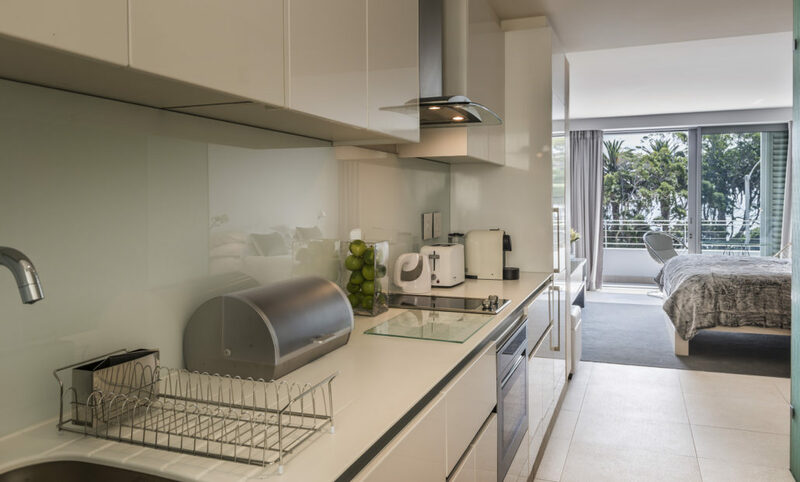 These apartments offer the perfect ‘non-hotel’ where you receive convenient services while retaining your own private space in your apartment. 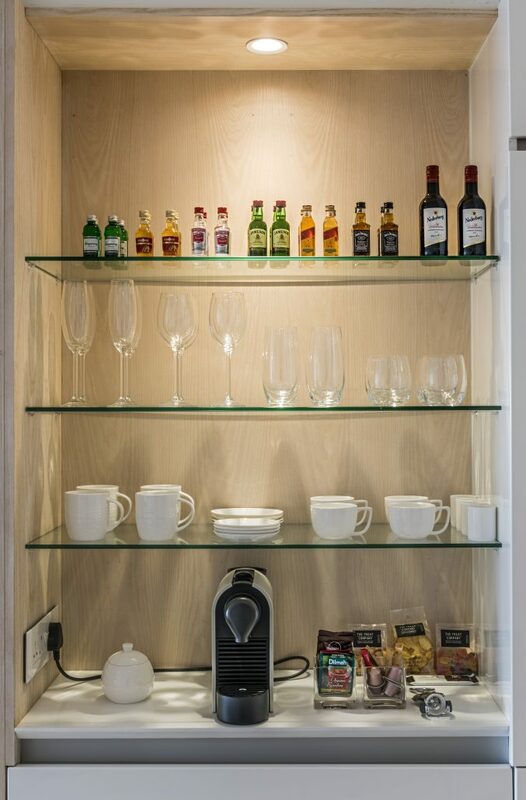 There is an office manager on call should you need any help or have special requests during your stay. 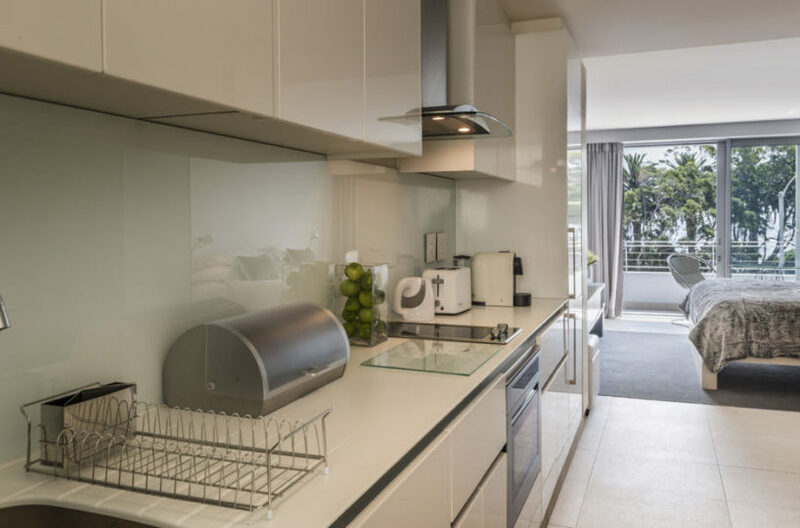 The modern apartments are stylishly fitted out and include air conditioning, black-out blinds, wide screen televisions and modern stereo system. 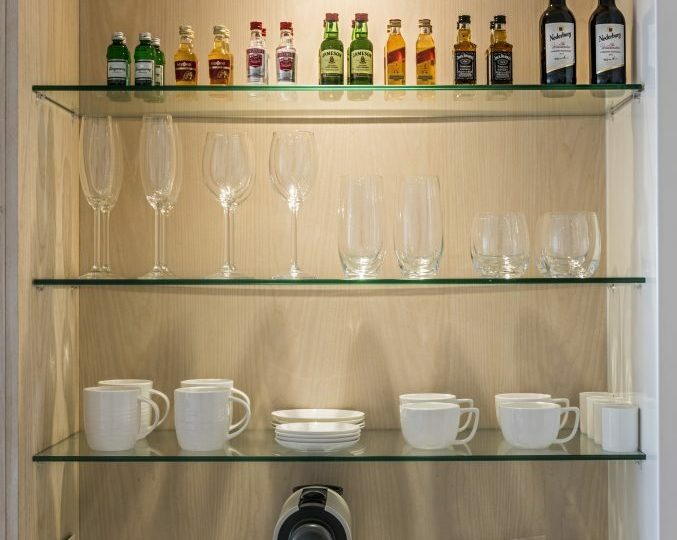 The kitchen is fully equipped and the spacious bathrooms include both bath and showers. 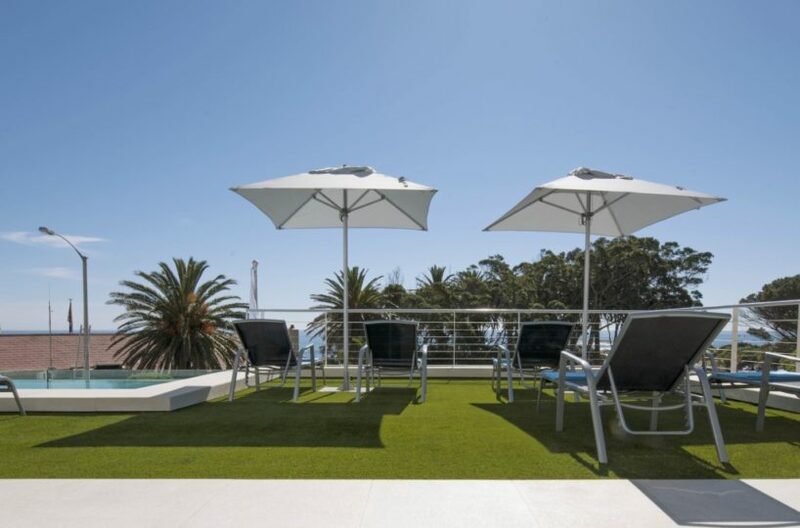 Each apartment has a sea facing balcony/patio with loungers and the shared pool is just a couple of metres away! 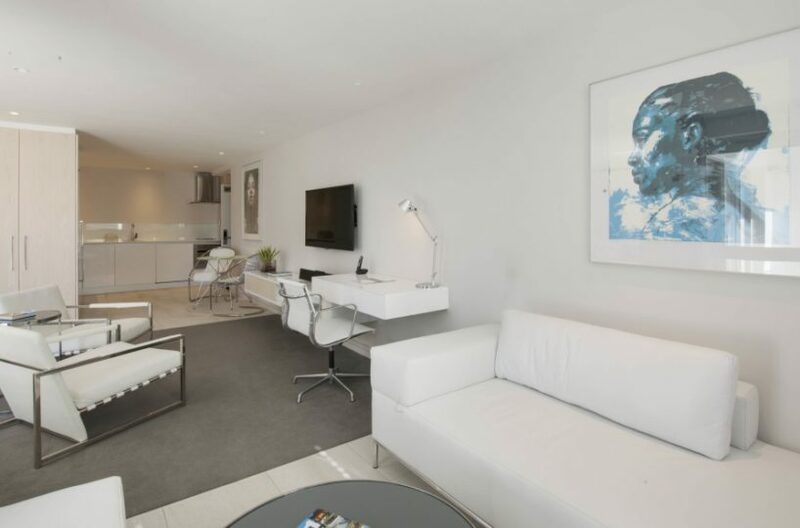 The apartment block is extremely tranquil and will suit anyone in need of some holiday R&R.